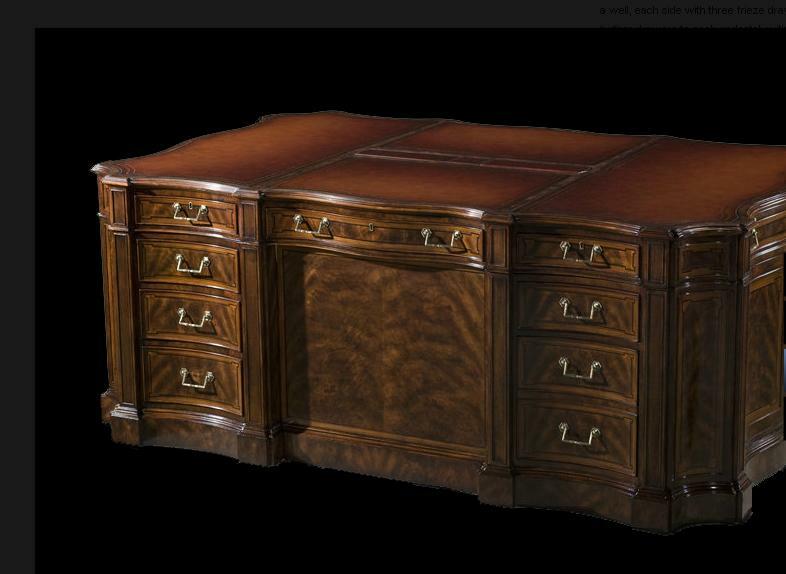 Heirloom quality partners desk with locking drawers, tooled leather and rosewood inlay. 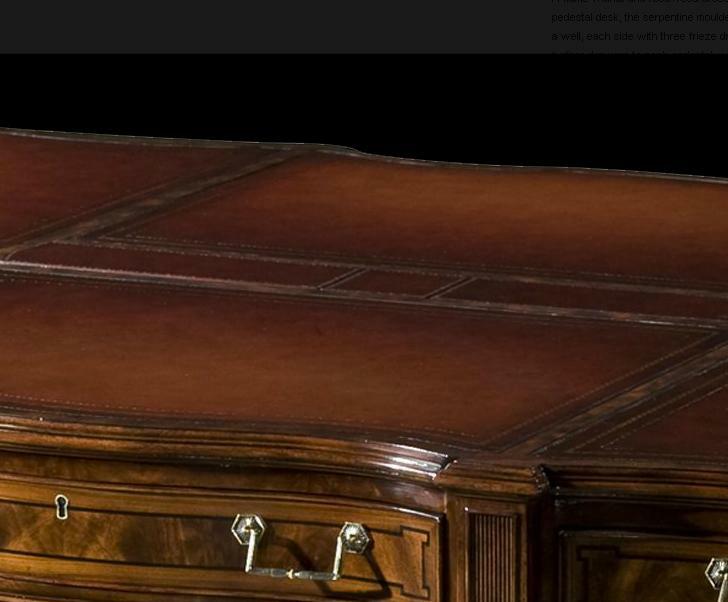 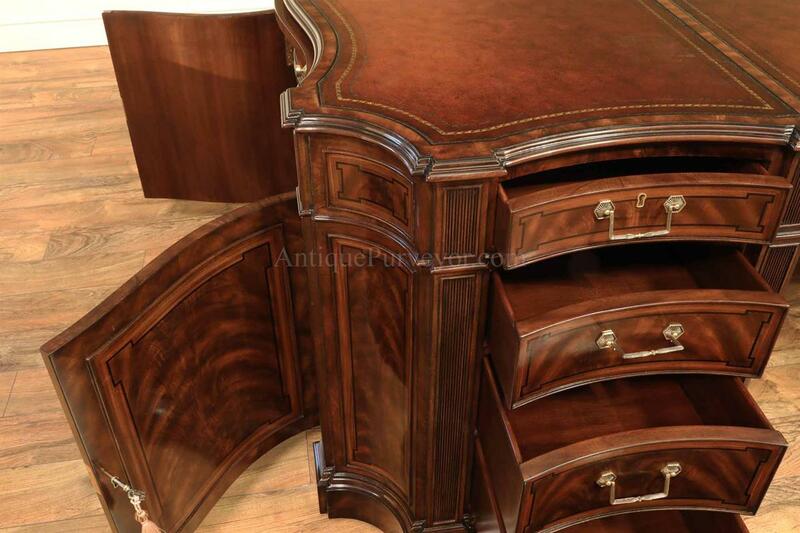 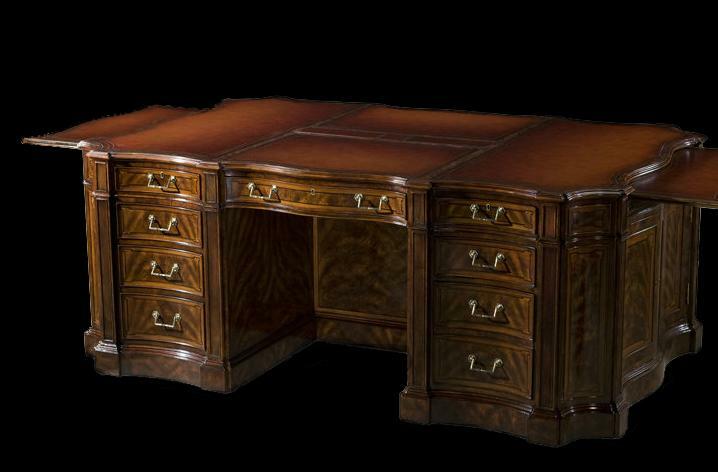 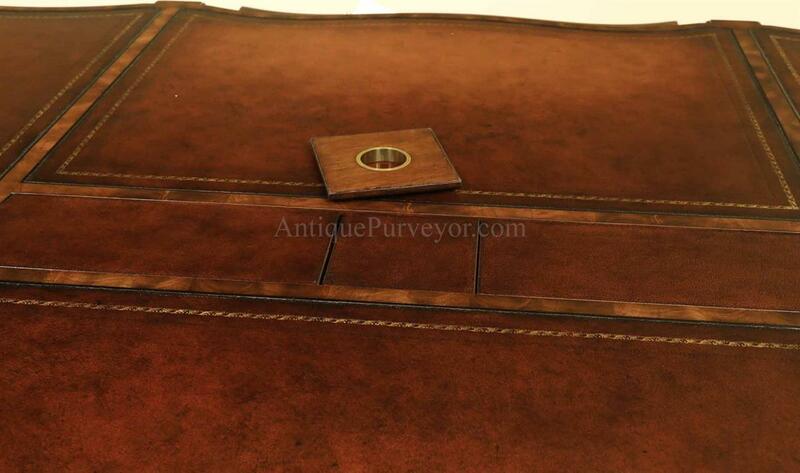 Description: Traditonal leather top partners desk decorated with flame walnut and rosewood inlays. 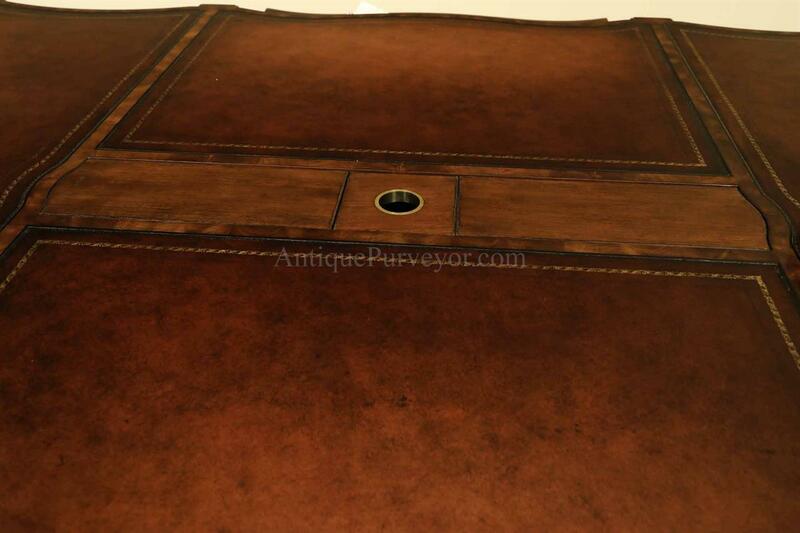 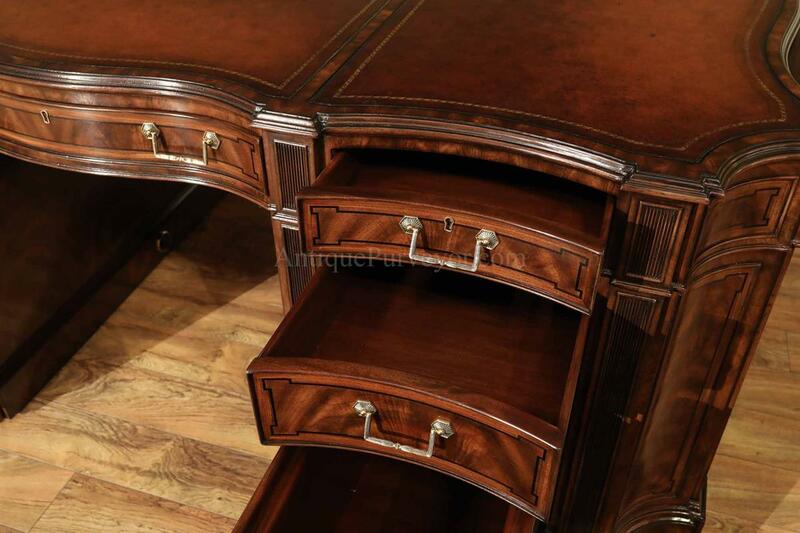 High end traditional partners desk with lockable side cabinets, inset tooled leather top, electrical harness, reversible leather/ walnut box covers and adjustable privacy panel. 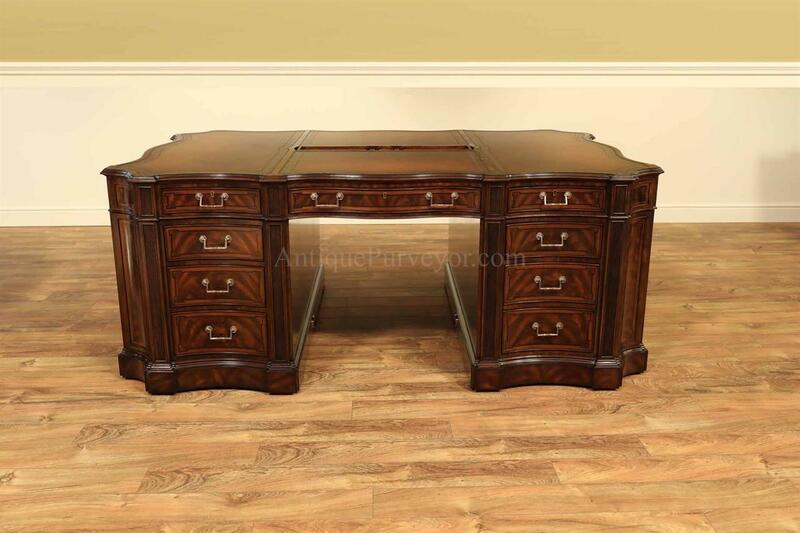 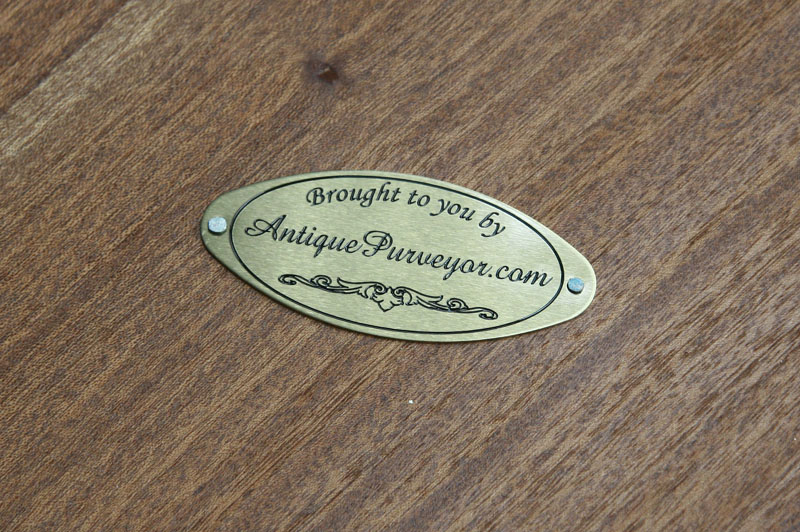 Heavy heirloom quality desk with traditional forged brass hardware. 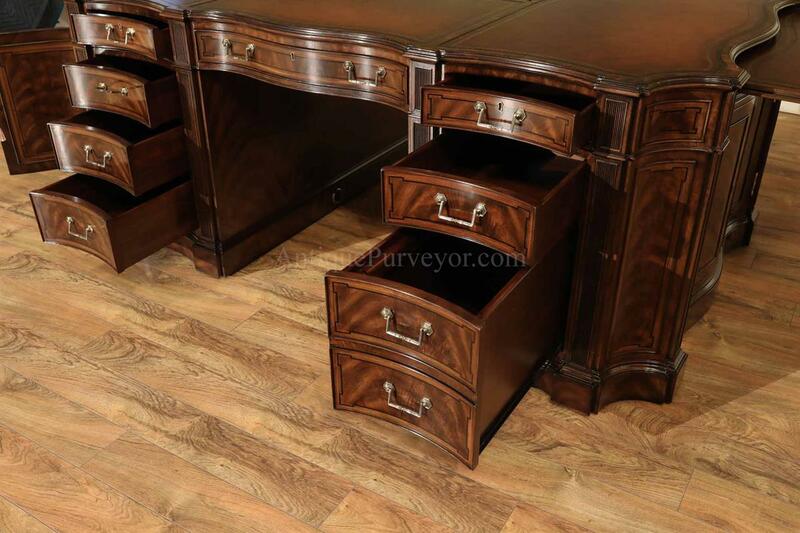 This desk gives each partner a file cabinet on the right side with 2 drawers on top, four drawers on left and a drawer on top of the kneehole. 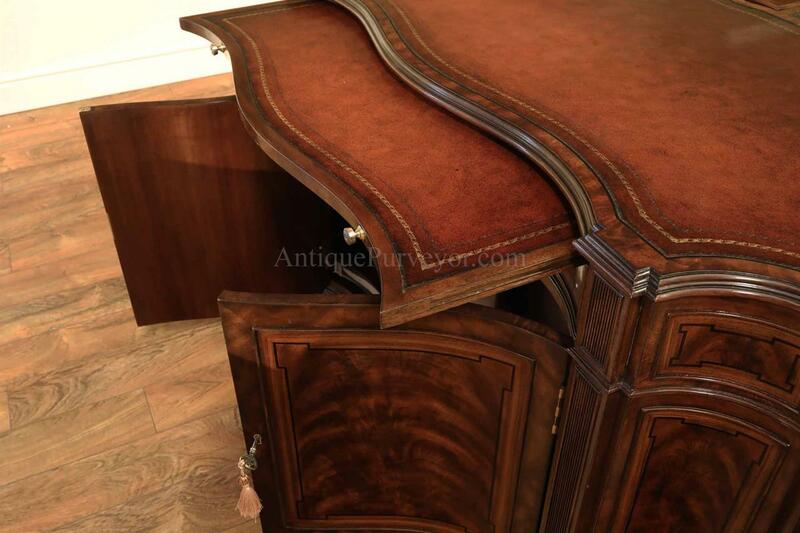 The left and right sides of the cabinet have a sliding tray with locking serpentine doors which reveal an adjustable shelf. 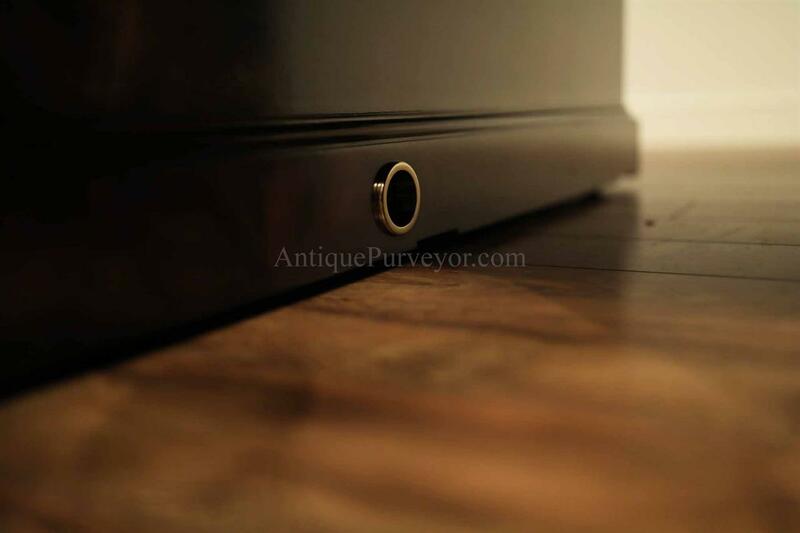 Electric can be brought into the desk near the the bottom of the desk where there is a grometted hole. 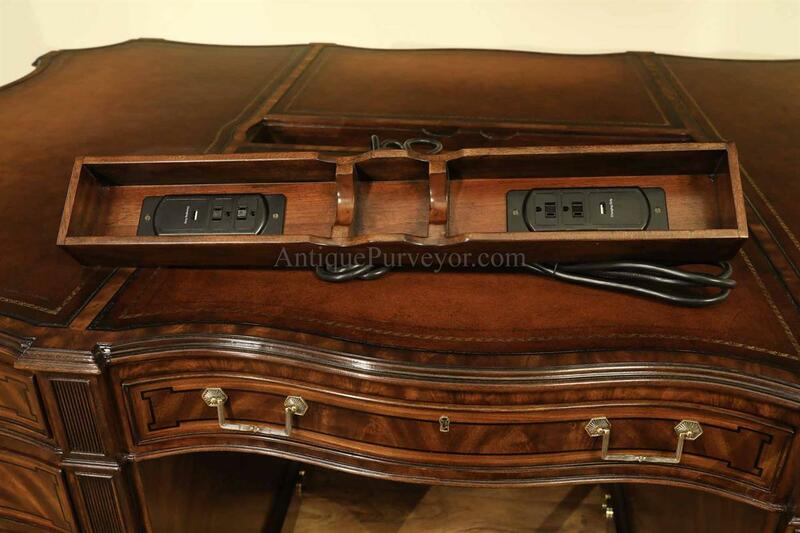 Once you have electric to the pedestal you can power two power outelts which also have USB charghing ports. 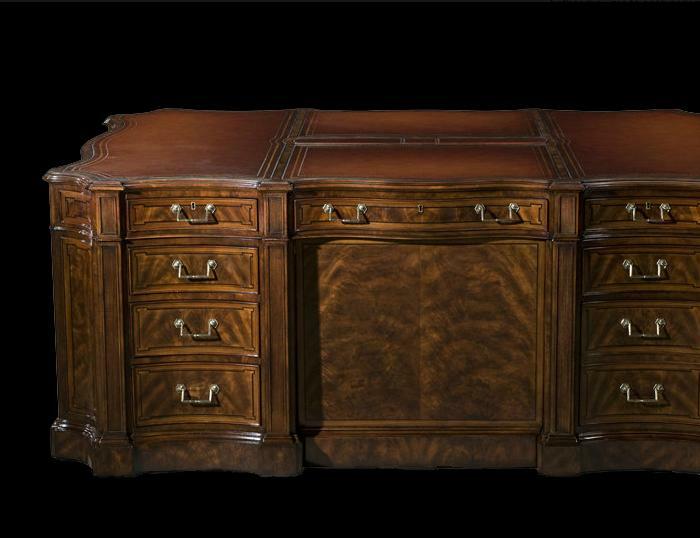 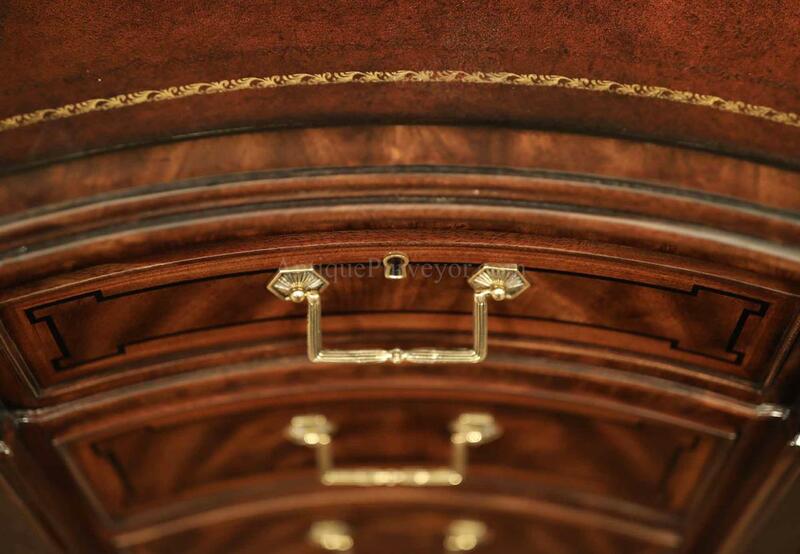 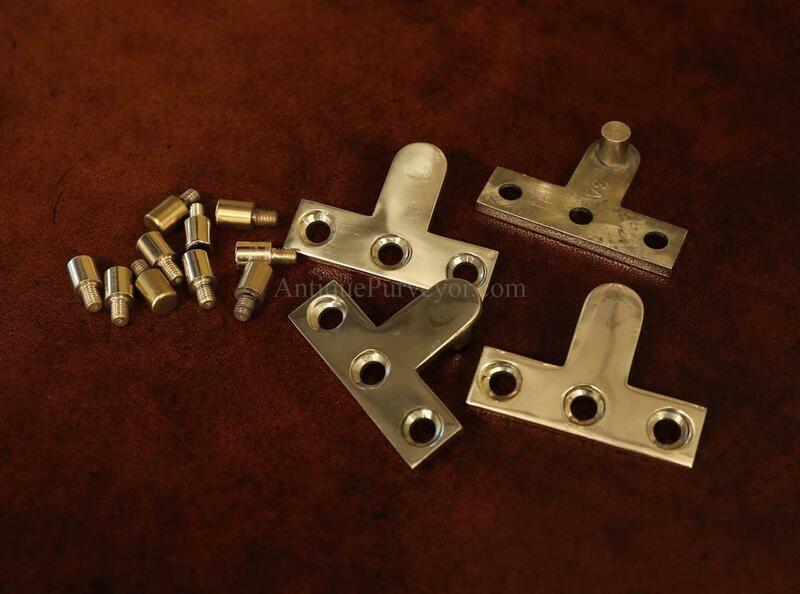 The only true locking areas on this desk are the two opening serpentine doors on each side of the cabinet, all other keyholes are for decoration. 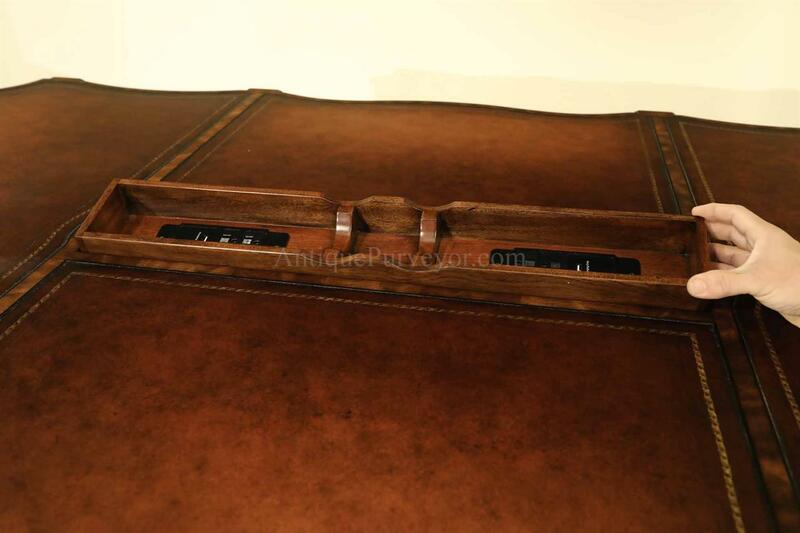 The privacy panel has three positions. 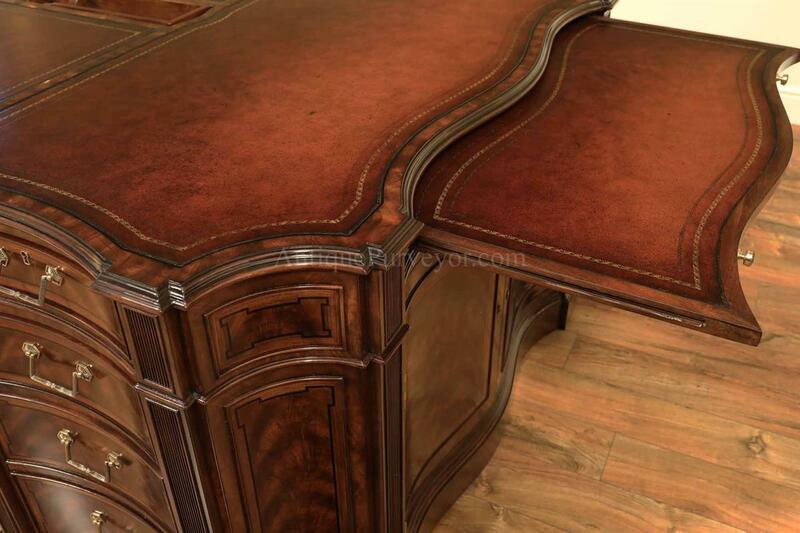 One position will make the desk look like an executive desk, where the panel is flush to one side. 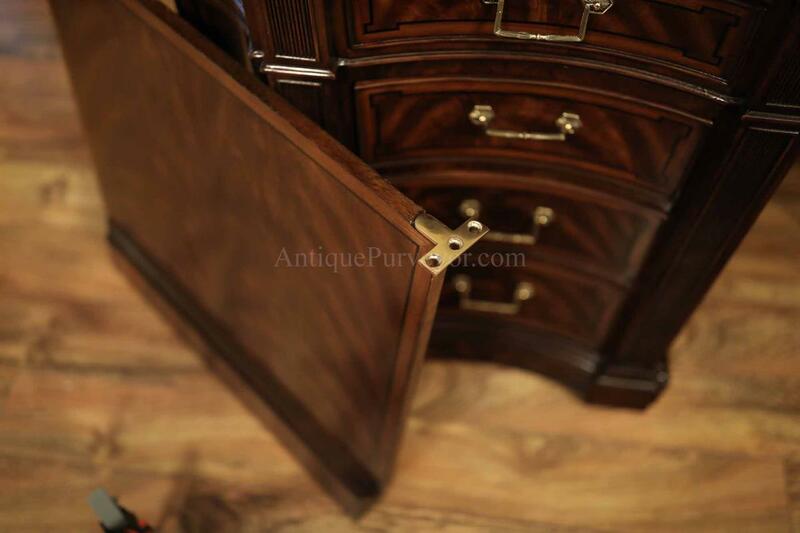 You can also lock the privacy panel at the center, between both partners. 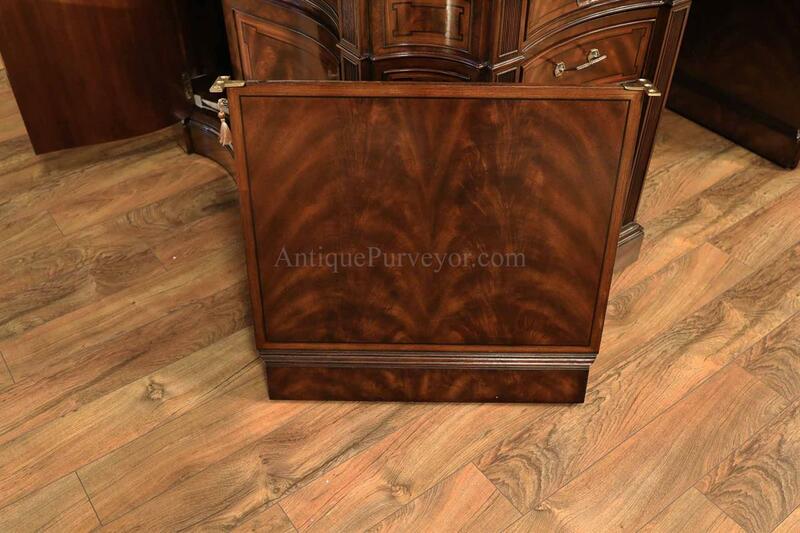 Lastly, you can remove it and have no privacy panel. 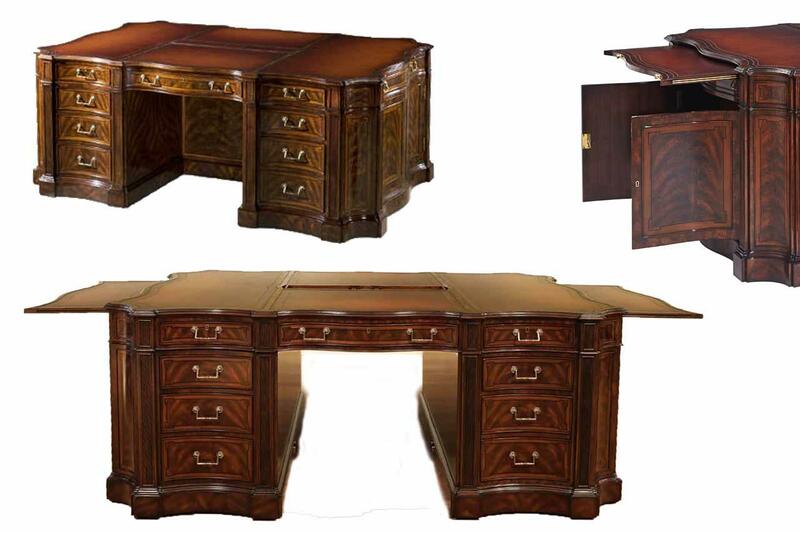 In all three scenarios, you have a clean and finished desk with no visual drawbacks. 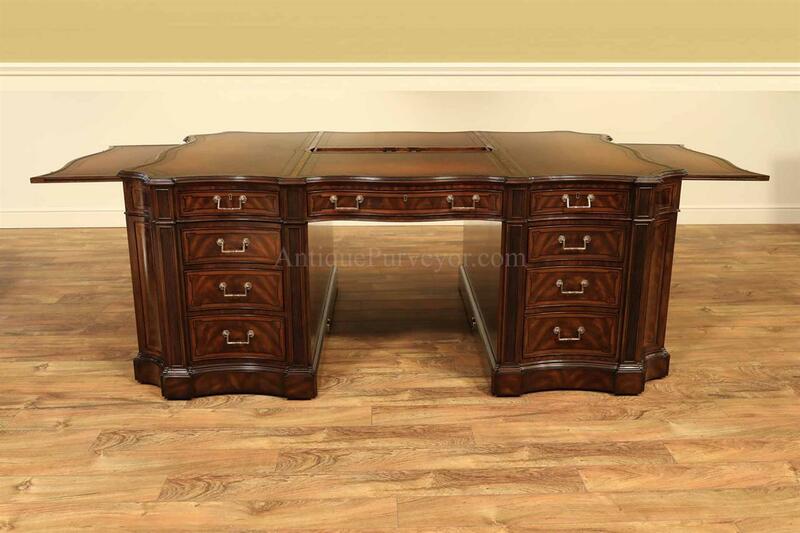 Fine, heavy, strudy, well designed partners desk for the home or office.